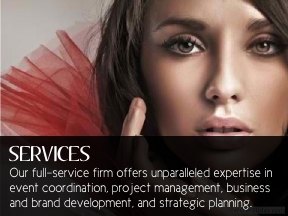 BXX Consulting is a full-service firm whose mission is to assist businesses and entrepreneurs in all aspects of brand strategy, business development, and project management. Client satisfaction is top priority, and we are committed to exceeding expectation: for us, excellence is not a goal…excellence is a standard. 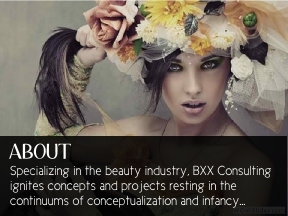 Specializing in the beauty industry, BXX consulting ignites concepts and projects resting in the continuums of conceptualization and infancy and fuels them along the journey of realization. Our clients have been led to achieve great levels of success, and we take every effort to ensure the entities and professionals we service enjoy lasting prosperity in the marketplace.